I was raised in Grassland. I watched the field turn into Food Lion, slurped on ICEEs from C.Y. market enjoyed many nights of chicken fingers from Grassland Grille and rented movies from Video Max. The best part of all is Grassland still feels like home after so many years and like Dorothy says, “There’s no place like home.” It is a magical community surrounded by loving families that I am proud to be a part of. Grassland Estates was my old stomping ground. Summer nights were filled with endless games of “German Spotlight” and “Capture the Flag” and days were spent bike riding and splashing in the creek. My mother, Kay Callahan, started me in dance lessons when I was three years old. Little did she know that dance would become my life and my career. I had a true passion for dance and never stopped, taking every class from ballet to tap to jazz. My first job as a professional dancer was onboard the Celebrity Cruise ship “Infinity”. My new home was a large ship weighing ninety one thousand tons at nine hundred sixty five feet long. I continued performing onboard for five years, traveling to exotic locations such as Bora Bora, Tahiti, Australia and New Zealand, and dancing my way through the European countries of Italy, Turkey, Greece and the beautiful Greek islands. I never thought, while studying the world map in Coach Rice’s World Geography Class at Franklin High School, that I would actually go to those magnificent places, embrace all the different cultures that I was exposed to, and meet dear friends from all over the world! Holding various positions such as dance captain, wardrobe supervisor and, of course, production dancer onboard Celebrity Infinity, Millennium and Solstice was truly unforgettable. Furthering my dance education I took on Aerial, an acrobatic art form consisting of trapeze, aerial lira or hoop, and Spanish web. My passion for dance was taken to a whole new level - dancing in the air. Learning this style of art takes a lot of focus, will power, strength and determination as the training at this level is rigorous and very demanding. Excelling in this training brought on a lot of other opportunities for my career. I was cast in “Cirque on Ice” where I performed trapeze over ice in Singapore. Along with being a performer in the show I was also Company Manager responsible for twenty plus cast and crew, all of the show’s logistics and the artistic integrity of the show. On completion of this show I continued working for Celebrity Cruises holding various roles on my last contract as a dance captain, trapeze artist, production dancer and wardrobe supervisor. I then accepted a position with Poet Productions as Artistic Manager and moved to Fort Lauderdale Florida. There I was responsible for all of the “Solstice Class” production shows rehearsing sixteen plus cast members on four different shows before joining the ship and mounting the shows while onboard. I also assisted in casting singers, dancers and acrobats for the shows. After working at sea for nearly six years I was ready to put down roots and what better place to be than Franklin, Tennessee? This brings me to my current endeavor, Grassland Dance Academy. I am happy and excited to be the Director/Owner of Grassland Dance Academy in the community of Grassland, my home. My goal for Grassland Dance Academy is to guide the youth of today in the direction of their goals and to help develop the self-confidence to achieve all they want to achieve through dance and creative movement. Dance gives children a creative outlet to enjoy music, learn coordination and rhythm, develop self confidence, work on fitness and most of all, have fun! Dance brings joy to the soul! Katie joins Grassland Dance Academy from The University of Tennessee Chattanooga. With thirteen years of dance experience she has honed her skills through Grassland Dance Academy's internship program during Spring 2014 and is proud to now be an instructor for GDA. Katie has traveled to New York City where she trained with some of the cast members from the Tony Award winning Broadway show Billy Elliot. Including some of the original cast. She has performed in Walt Disney World and was a Junior Member of the Southern Association of Dance Masters. She has worked with various well-known choreographers and has participated in multiple dance conventions over the years. Katie was recently a back up dancer for an upcoming A&E television show and has received her associates degree in Commercial Entertainment through Columbia State Community College . Spreading the joy of dance is Katie's passion and she looks forward to sharing that very passion with Grassland Dance Academy's students! 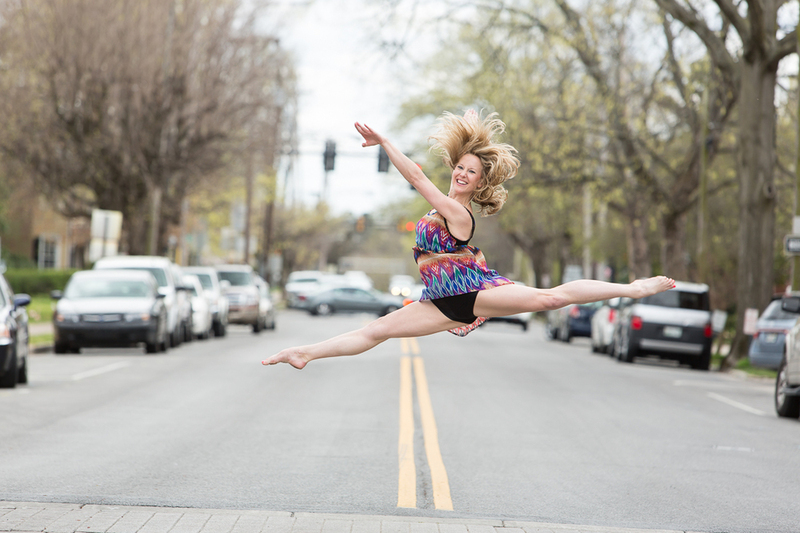 Lizzy Graves was born in Vacaville, CA and grew up dancing at Vacaville Ballet Theatre. She moved to Nashville, TN in 2009 where she trained at Nashville Ballet till 2014, performing Classical Variations, Neoclassical work by Paul Vasterling and Contemporary work by Banning Bouldin. She moved to Vancouver, Canada for two years to dance at ArtsUmbrella under Artemis Gordon, performing works by Lesley Telford, Crystal Pite, Marie Chouinard, James Kudelka, and Medhi Walerski. She also had the opportunity to work with Cindy Salgado, Eric Beauchesne, Jonathan Alsberry, Tom Weinberger and Doug Letheren. She participated in the Movement Invention Project in 2014 under Alexandra Wells, the inaugural group of Axis Connect in 2016, created by the Barton sisters, and danced at the San Francisco Conservatory of Dance in 2017 under Summer Lee Rhatigan. She is just about to begin her second year as an apprentice with New Dialect, while also taking classes at Belmont University.